The crows Matthieu Portefaix & Sylvain Rechu, in their position as trainee guides, have made a truly beautiful descent in the Vanoise Massif, the Roche gully of the north face of the Dent Parrachée. 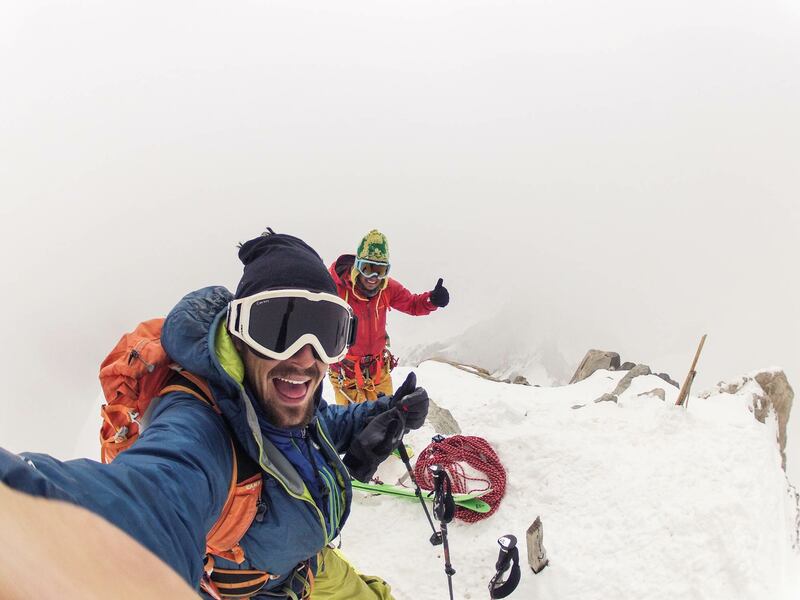 Matthieu tells us about this adventure of friendship and partnership, far from the tumult of hunters of the steep and deep. Already mid-April, spring has truly arrived. The seasons fly past, which is certainly a sign of plenitude and happiness. At the time of the jostling for the north facing slopes around Chamonix, and while the skiing of steep slopes is in full swing, Sylvain and I decide to take good advantage of what the mountain offers us at the ‘end of season’. We nurture our impulse with gopro and other images on social networks and the internet. 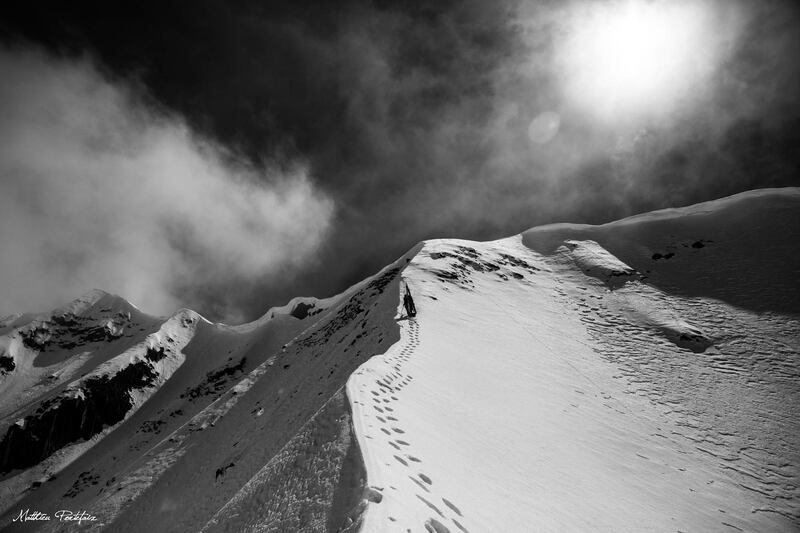 In Chamonix, numerous skiers and friends collect descents in an anthology for lovers of jumped turns. The jostling for the north face, polemic, where each expresses themselves in their own way. 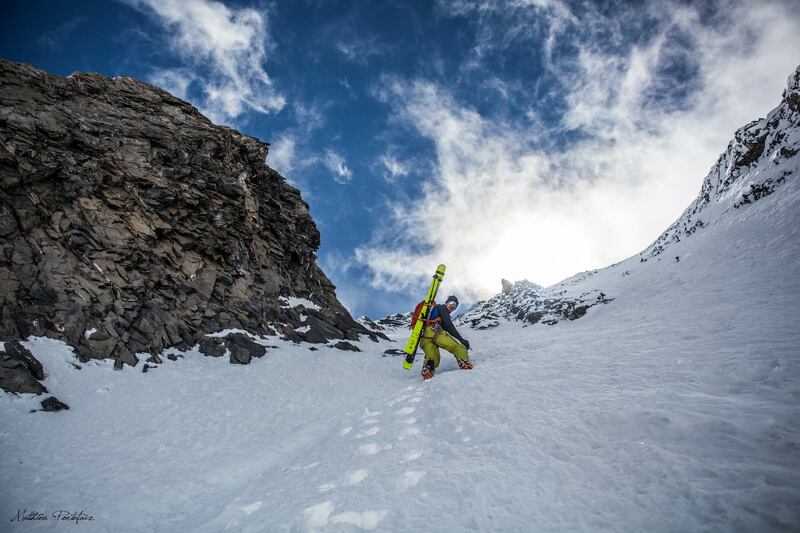 Unshakable, the history of skiing steep slopes continues. But, deep down, we aspire to something else. So we take the time to reflect. We exchange ideas, joke, discuss, drink some beer… We both know what we are looking for: the simplicity of a tasty mix between natural elements, skiing and friendship. 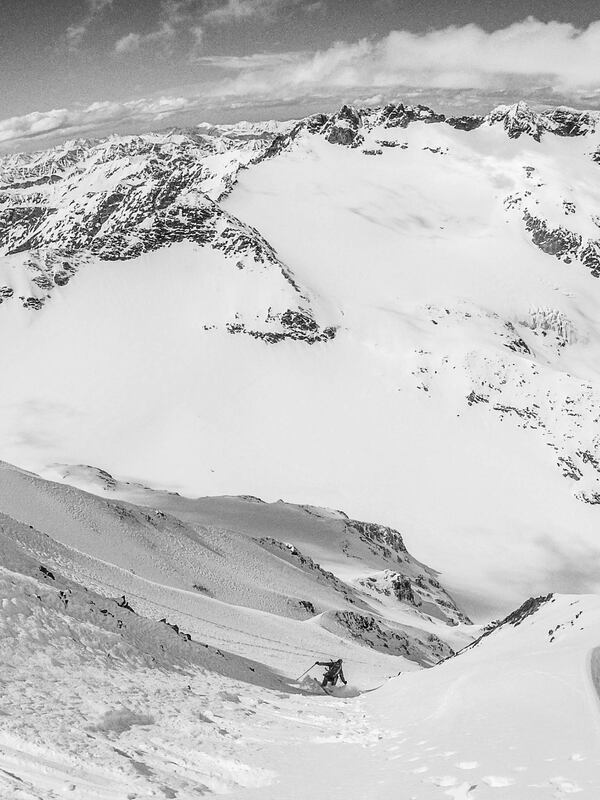 What’s more beautiful than sharing this intense passion with a friend, or brother in the mountains ? While staying tuned in to what mother nature can offer us. 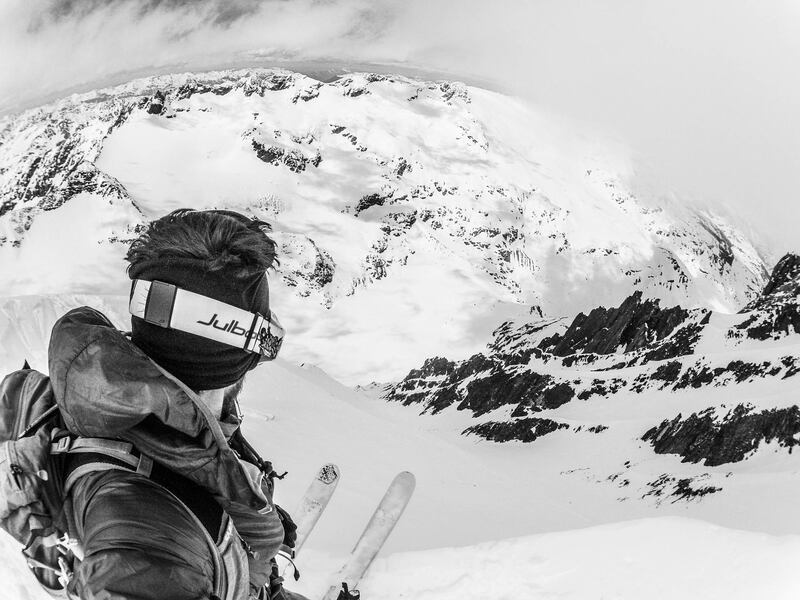 Gathering information « in the old way », far from the 2.0 of the on-line ski forum. We call our friends, read guidebooks on the terrace in the sun, and there we meet a friend who is a guide who whispers in our ears that at home there would still be powder conditions on the north faces…… I note that nothing beats this kind of privileged exchange of information. Each route is prepared on different levels : technical, equipment, logistics, timings… And then the history of the number of itineraries is not to be neglected if we don’t want to lose the thread. On each of our outings, there is this exchange – these few words exchanged between enthusiasts, neophytes or experts – as our practice in the mountains is precious. 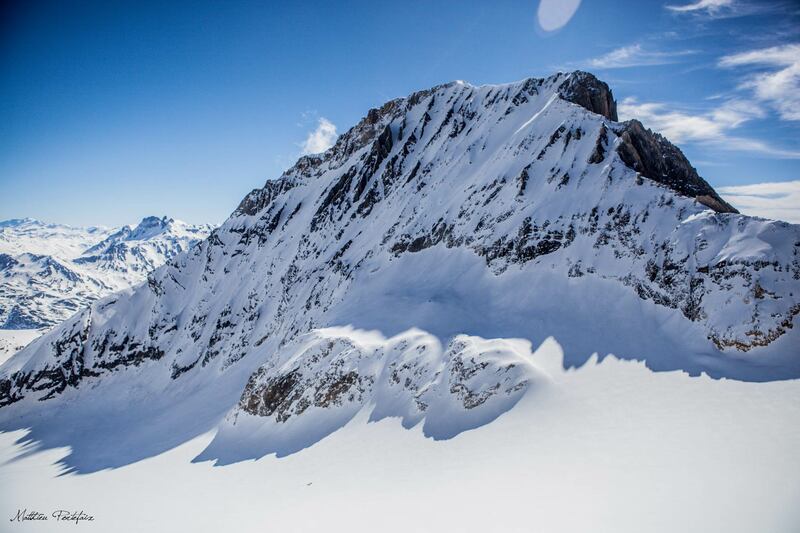 Each massif has its known itineraries, with the evocative name of skier of the steep : Couturier, Nant Blanc, Brenva in the Mont-Blanc massif, Pointe Percée in the Aravis, Coup de Sabre in the Écrins. In the Vanoise, one thinks of the Italian gully on the north face of the Grande Casse… Our vagabond spirits stop at a lesser known slope : the gully on the north face of the Dent Parrachée. On this, the morning of April 12th 2016, the weather honours us with bright sunshine. A calm breakfast, last preparations… Whatever we do today the weather is going to be beautiful. We are convinced of that. In three short hours we are here at the foot of the north face of the Dent Parrachée. The adrenaline starts rising and little by little, we realise that all the elements seem to have come together for the success of our project. We are on form, the line has good snow cover, powder even, the sun is shining and we are happy to be there. Our eyes are sparkling at the confrontation of all these factors. Despite the monotonous climb in the gully, we chat and stay attentive to our possibilities and options for the descent of this steep itinerary, sustained and exposed. 700m later, we come out on to the summit ridge. Here we are at the summit, a thought for our nearest and dearest who watch over us and guide us daily from another world. Between times a few clouds have appeared, nothing menacing but a sign a nature to listen to. It is time to go down. Orb freebird and Navis freebird underfoot, concentrated and relaxed, adrenaline pumping round the body, we enter the gully. In one’s head the sentence which recurs at each new steep slope : « the hardest, is the first one ». The first turn is on velvet, a reward for all questions and effort, the descent follows. We impregnate the beauty of the area, of this liberty offered to us and this chance to be there, to share these moments so intense that they will stay engraved in our memories. On replacing our skins to pass the col du Moine, to glide to the refuge where Franck, the guardian, welcomes us with two large beers and his ‘gratin de Crozets’. We melt into the midst of all these skiers who, like us, are happy with their day and are profiting from the moment. 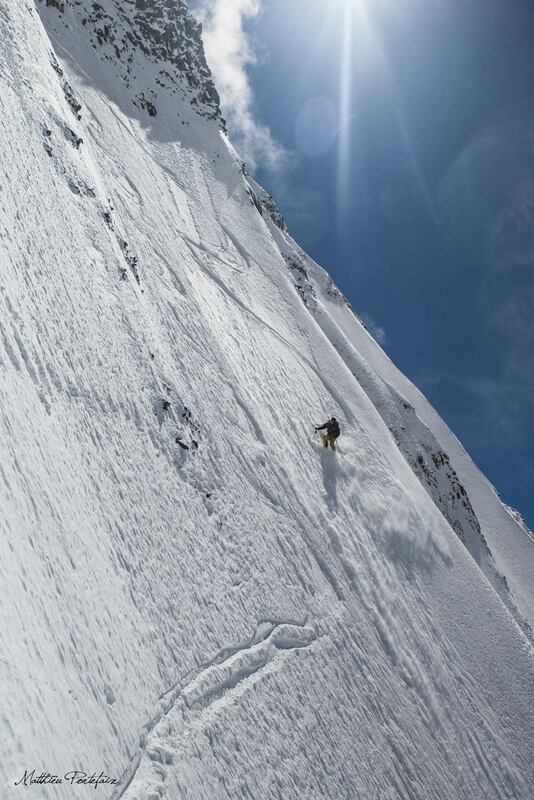 Matthieu Portefaix & Sylvain Rechu, the Roche Gully, on the North Face of the Dent Parrachée skied in its entirety without rappel on April 12th 2016 700 m / 5.3 / E4.